I'm so excited! My Dinner Club Mysteries have now launched, with the first book in the series, TOASTING UP TROUBLE out this week! So, besides presenting a recipe today, I'm also doing a giveaway. But first, the food! If you have the time in the morning to get creative with breakfast, here's a healthy and tasty alternative to a plain old fried egg. It would also be great for a brunch! Or lunch, or even dinner. And, although it take a bit more time, it's really very easy to do. In a skillet, saute asparagus in 1 tbsp. olive oil for approx. 3 minutes. While still crisp, remove and keep warm. Add panko and slivered garlic; saute until golden. In another skillet, add 1/2 tbsp. olive oil then fry egg to sunnyside-up perfection. Layer on plate -- start with asparagus, then add the shaved ham, the fried egg and sprinkle with the panko mixture. Add salt and freshly ground pepper to taste. 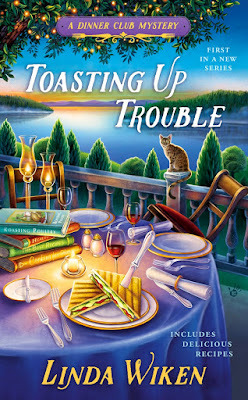 It's here -- TOASTING UP TROUBLE released last week! It's the first in the Dinner Club Mysteries and you can win a copy by leaving a comment on today's blog. The lucky winner's name will be drawn tomorrow at noon. Good Luck! This looks yummy! And thanks for the chance to win a copy of your book! Love my dinner club, so this sounds like an excellent series for me. 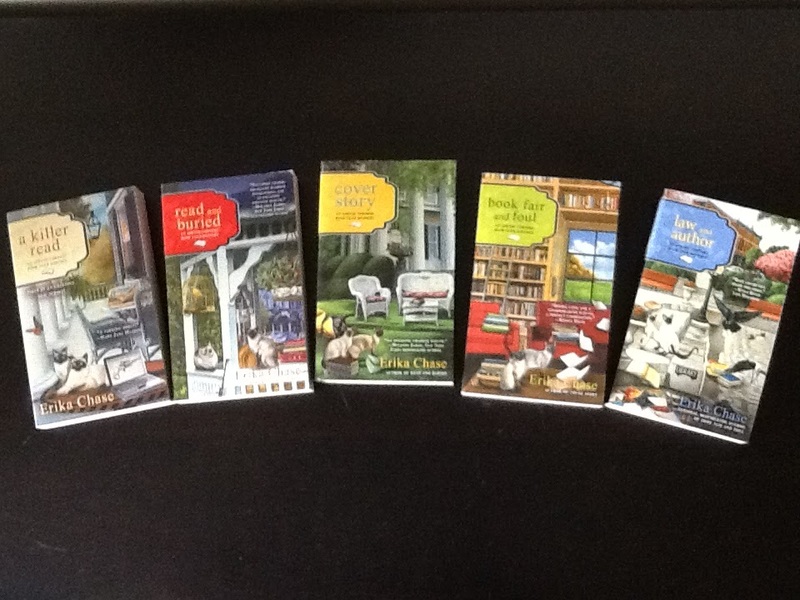 Your Dinner Club series sounds terrific! Asparagus and eggs have always been a favorite of mine. Thank you for the giveaway! I want to read this book, it looks so interesting. thank-you for the recipe and the chance to win. That looks very tasty. Thanks for the breakfast idea. And, for the chance to win your book. I wouldn't have thought of having asparagus but it sounds (and looks) good. I love fresh asparagus. All the summer vegetables are so delicious. Thanks for the chance to win the first in this series. This sounds like a good way to start the day.usually I just chop up a batch of vegetables and mix them with scrambled eggs. Sounds like a great lunch. When I used to have my George Forman grill, I would grill the asparagus with garlic and olive oil and butter and then add toppings to them, but this is far easier in a frying pan and easier to clean up after. Thanks for the quick and easy recipe. That sounds like a very tasty dish. Add some good bread, toasted, and I'm in! Best wishes on the new book. I love eggs and asparagus---I'll have to try the recipe. Thanks for the contest.